The next few days of my three week cleanse on the Clean Program got a bit routine, but I liked it. 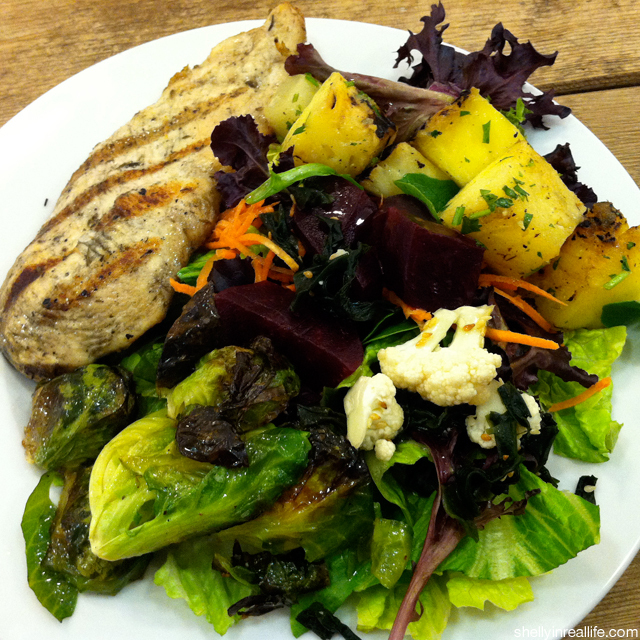 I mentioned it on Day 1 of the cleanse that one of my goals was to try new recipes. Unfortunately, I didn't really live up to my word this week. I partly blame this on work being so hectic that it's comforting sometimes to just wake up, know exactly what you're doing, and go. That's what this Mango Avocado & Kale smoothie does for me. I know it tastes good and it takes me less than 5 minutes to prepare and leave. 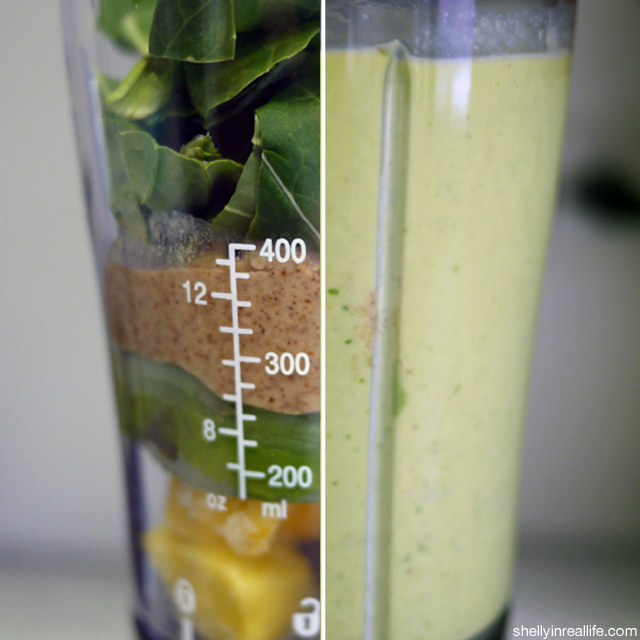 The Mango Avocado and Kale smoothie has become a part of my daily routine. 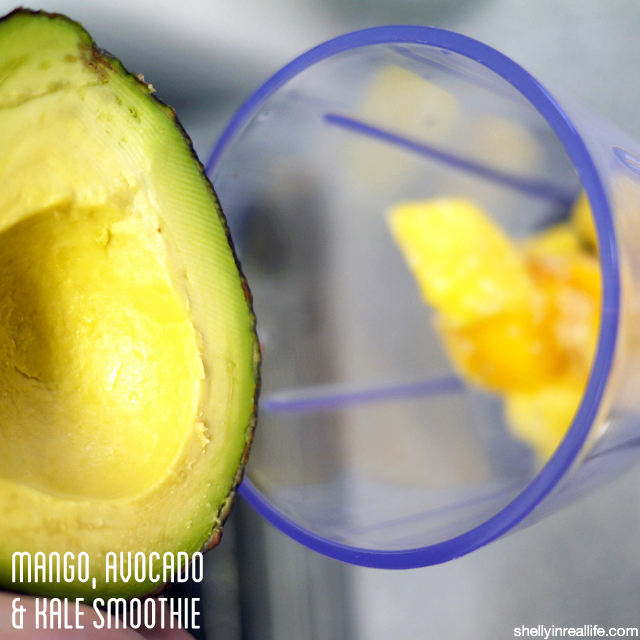 Before this smoothie, I never had avocado in smoothies and always considered it a bit odd. Avocado? In liquid form? Really?? However, this smoothie made me a believer. 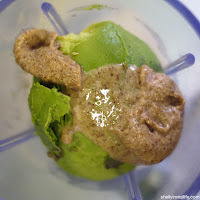 The first day I made this, I was a bit too enthusiastic and put half of an avocado in. I also stuffed it with a bit too much kale (or swiss chard/leafy greens as a substitute). Clearly I wasn't following my own recipe. 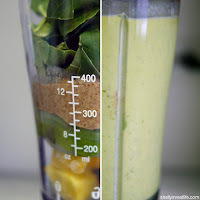 That turned the smoothie into a really thick drink, and a bit bitter because of the greens. The 2 days after that, I learned my lesson and added only 1/4 of an avocado, and a smaller handful of greens. I usually make this, bottle it up, and then run off to the subway to drink it on the go. This is of course, after I take a part of my day's probiotics, digestive and liver support pills. Learn more about cleanse supplements. Like clockwork during lunch, I went and filled up half of my plate with greens - spinach, romaine lettuce, spinach, whatever the salad bar had. Then, I topped it off with some beets to give my salad some sweetness, added roasted brussels sprouts, and whenever I got lucky, grilled pineapple (which is amazing by the way). Finally I added a piece of grilled chicken that was just reheated. Top with Olive Oil, and Lemon Juice. Done and done. I find that eating the same foods actually helps me not think about all the other choices that I can go with. This way I don't really deviate from the plan and know exactly what I should be eating. I'm very lucky because I actually don't have a caffeine addiction or that big of a sweet tooth. I only drink coffee recreationally, not because I need my daily fix. When I told my coworkers I was doing the cleanse, their main concern was cutting out coffee. It's really understandable when you feel tired or fatigued throughout the day without your Cup 'o Joe. Since I don't drink coffee regularly, I feel fine without it. The book says that you can drink green tea and yerba mate as a substitute on the cleanse. Mate is actually really popular in South America, and is made to be almost like a coffee substitute. It contains caffeine, but about 1/3 as much as coffee. 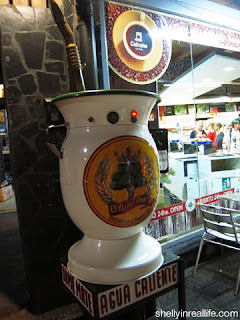 They actually love it so much in South America, that there are special cups for it, where you add loose mate leaves and sip it through a straw with a strainer at the end that helps prevent you from drinking the leaves. Another temptation is sweets during the afternoon. During my 4th day on the cleanse, we had a surprise ice cream sundae bar set up at work. It was to celebrate the return of Girl Scout Cookies season, so the cookies were smashed up and mixed into the ice cream. Seriously, someone without a sweet tooth can still be tempted by Girl Scout Cookies right? Wrong. As much as I wanted to have a taste, I just continued to remind myself that this cleanse will only last for 3 weeks. I kept thinking this and then went to grab something much healthier, green juice. 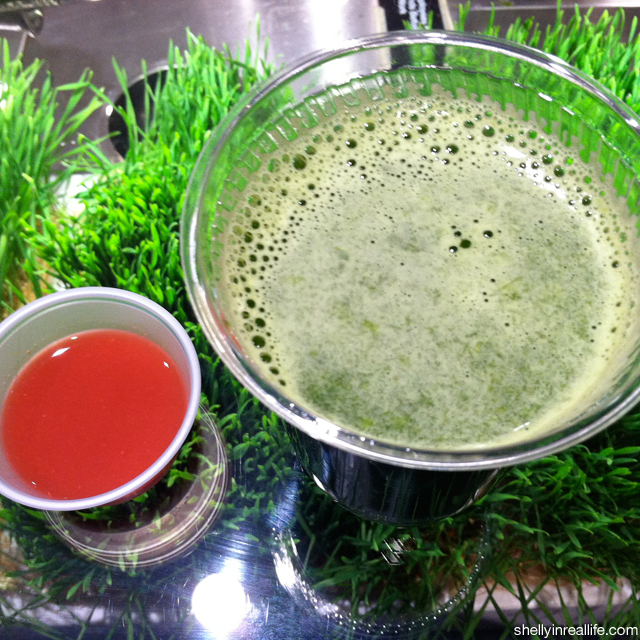 Ahhh, green juice is surprisingly sweet after you acquire a taste for it. A part of doing this cleanse is to identify reasons why we get certain cravings that we do. A part of the culprit is definitely because of the food industry. Have you read the recent New York Times article on The Extraordinary Science of Addictive Junk Food? The premise is that the food industry puts millions and millions of dollars on research to figure out the optimal point to engineer and craft a particular junk food to make it addictive and make you wanting more after each bite. Remember the Pringles' slogan "Once you pop, you just can't stop". Yea, it's something like that - all junk foods are engineered to make you wanting more. I really recommend you reading the article to learn more. As I happily chugged along during these days, I definitely had "cravings" for different snacks as the day went on. There was one day I really wanted chocolate, but only because I saw my coworker eating chocolate. After a lot of mental work, I drank some lemon water and thought about why I really wanted the chocolate. Did I absolutely need it? Nope. Probably not, but it seemed like such a fun pick-me-up for the day. Another day, during a really non-entertaining meeting at work, I thought about snacking on chips or something else. But then, once again, was I wanting a snack out of necessity and hunger or was I eating from boredom. Seems like to me it's the latter. It's important to really think about why you want these snacks on the cleanse, and hopefully you can hold out and develop healthier snacking habits through the three weeks! Since I've been working out more regularly on the cleanse, and continuing to be somewhat "boring" in my cleanse, I have been drinking the same smoothie night after night. Partly because I really had to finish these blueberries, but particually because I'm a creature of habit. 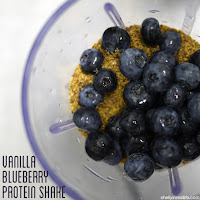 You can check out the recipe for this shake in my post from Day 3: Work, Spin, Cleanse. Once again, really surprised that I'm not more hungry since I'm eating so much less than "normal". Day 2: Spring Forward with The Clean Program!